There's a lot going on at Catherine Pooler Designs today! There's a blog hop to celebrate all the amazing things happening! Fourth - SOAPS! With names and scents to match the new inks! How fun is that? 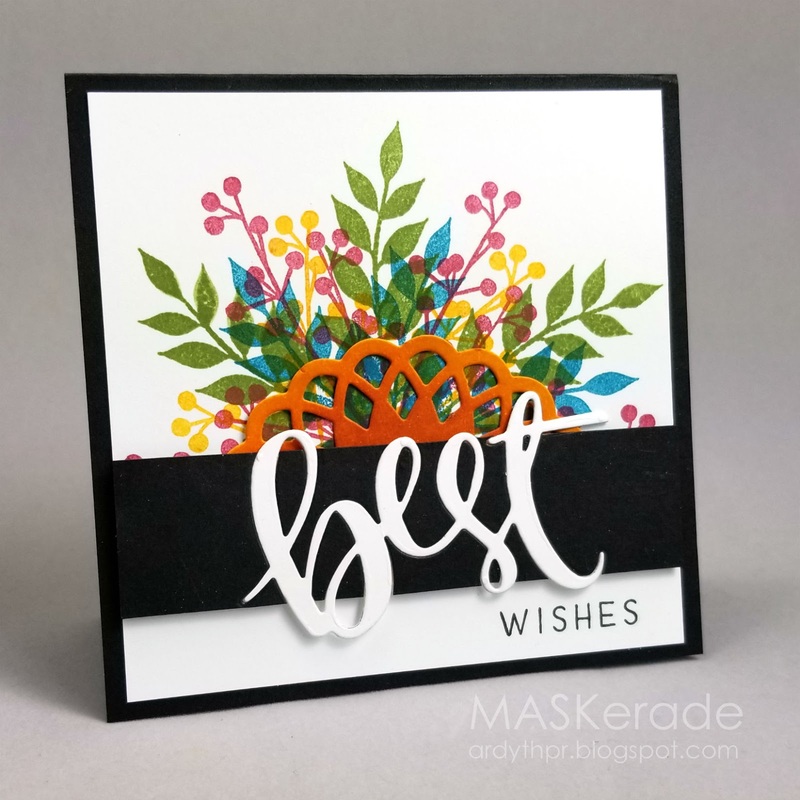 My first card (above) uses the new inks with products from the Naturally Inspired Collection - I love how the rich warm colours create the perfect autumn bouquet! My second and third cards use the newly released Plaid Background in a rainbow of the new colours (see video below), along with some previously released sentiments. That plaid is perfect for cozy cards full of warm wishes! Next stop on the hop is the fabulous Ingrid! WOW WOW WOW WOW WOW! I'm loving the new ink colors but that plaid background stamp is stealing the release. The new inks are gorgeous! Can't wait to get them into my hot little hands! Gorgeous cards Ardyth!! I love the ways you used the background stamp!! These new colors are fabulous!! Wow! Beautiful cards and colors!!! All your cards are gorgeous! The first one with best wishes is amazing! I love the plaid background stamp!! And the new colors are fabulous!! Wow,that plaid background stamp looks great! I love how you blended the colors! I like how these inks hold their own. The first card is amazing. Each color stands alone but together. I'm a sucker for plaid also. Great cards. Thanks for the ideas. What unique use of the plaid stamp. I love your cards. Wow. Look at what you did with that plaid (which I am loving). So cool and shows how well the new inks go together. Very neat. Thank you for sharing. Beautiful! Love how you used the plaid background! LOVE LOVE LOVE the plaid background stamp! Truly a must have! What a FUN use of the plaid stamp! Love the cards. Loved the plaid stamp. Both cards are awesome! Can't wait to get the new inks so I can play around. Thanks so much for sharing your video. Wow! Love how you used the plaid stamp. Love the rainbow plaid. Very creative. Love the cards. I will have to go back and watch your video. I really liked your cards. They are simply marvelous! Thanks for sharing and have a wonderful day. I love your cards! The plaid stamp is a winner for sure! I also ordered the Doily Die! Love it! Loving that plaid background!! Great cards! I love how you used the plaid stamp. Beautiful! Beautiful cards. I am going to have to get out my Wild Garden set when my inks arrive! I'm a bit embarrassed to admit this but I appreciate you showing "me" both of the doily dies... I have the Spiro Doily and wasn't sure about the Small Doily. I'm sold!!! The inks are fabulous and so is the plaid background stamp. Your plaid backgrounds look amazing and are so clever too! Love these new ink colours. Fab ways to use your Awesome goodies. Wow, that plaid is gorgeous! I like your colorful card designs. Wow!! These cards are amazing! Beautiful cards. I liked seeing how you worked with the plaid stamp. Thanks for sharing. Love that plaid background. It's sold out no surprise. Hurry Catherine get some more in. Can't believe the things you did with that plaid stamp!! So glad I ordered one along with my inks. Wonderful cards!!! 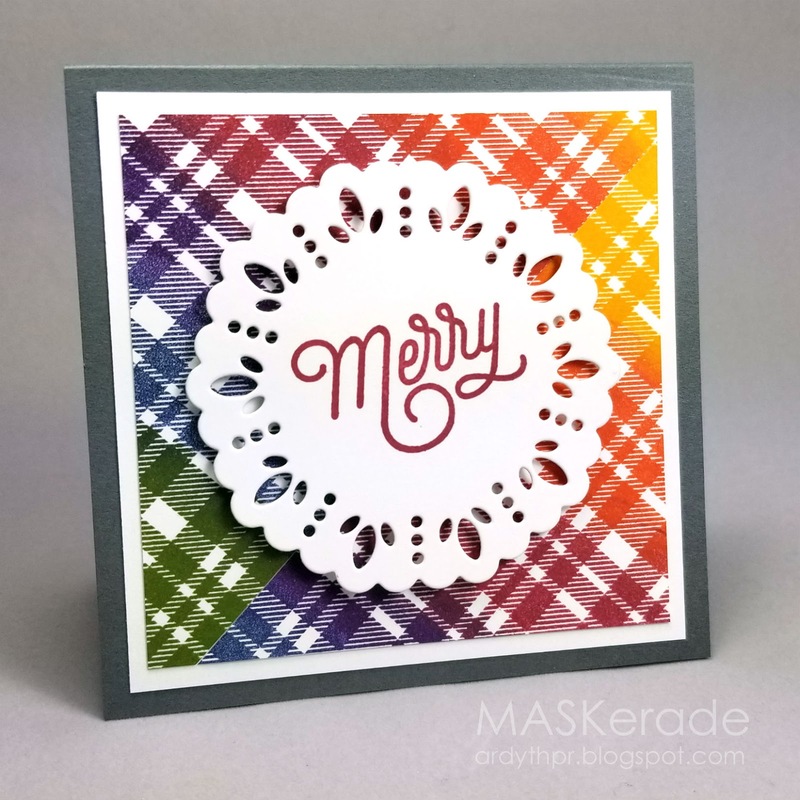 Love the way you used the plaid background stamp, thanks for the demonstration, too! Your cards are lovely. I too, along with the above commenters love the plaid background stamp. I ordered it timely, and glad you hosed a few ways to adhere it to the base. I like the look. I love your square cards (so totally NOT "square"). I really love how the Naturally inspired SOA supplies look with the Spa inks. And you are rocking that plaid stamp! Rainbow flannel, yes please! Love that plaid background stamp. So many possibilities. So excited. Love, love, LOVE what you did with the plaid!!! Thanks for showing what you did after stamping the plaid background. I always have trouble figuring out what colours won't make mud. lol What a wonderful font that "best" die has. Wow! I can't wait to get my hands on these inks and stamp. 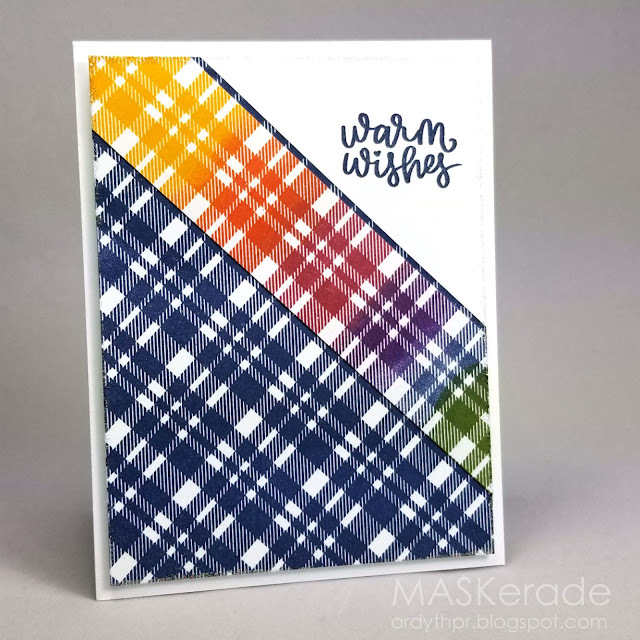 I had to think hard about how you did the blue with rainbow plaid card when I ordered the stamp and was looking at the sample projects. Thanks a bunch for the video; I knew it had to be layered, but now I know exactly how you did it. Thanks for the tutorial inspiration. Gorgeous cards! I love the plaid and Winter Wonderland. I love your cards, such a great release! 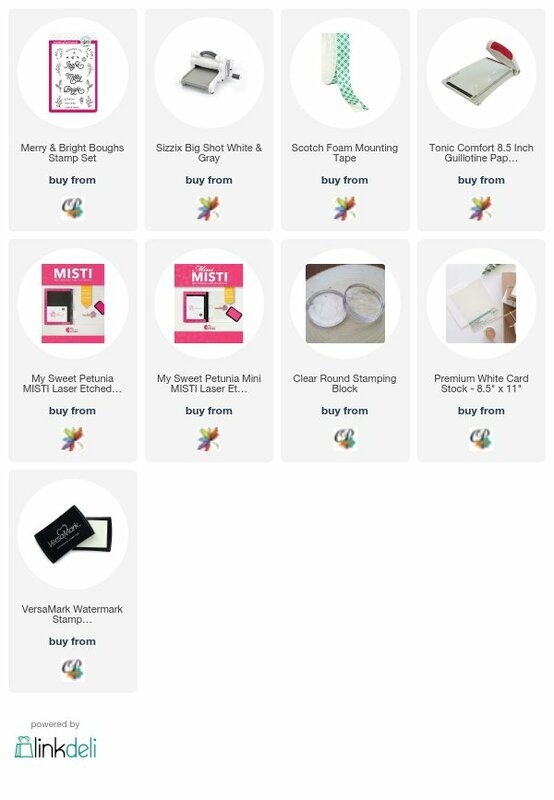 That square card is beautiful but oh how those multi colored plaid cards capture my heart! WOW! Your cards are wonderful! Those plaid backgrounds are incredible! Wow! Beautiful cards and colours! I think a lot of people are in love with the plaid stamp, including me. I really love how you used it. Great cards! Beautiful cards. Love all the colors. Love the plaid background and the multiple ways you used it. The colors are so beautiful. I love how you used the plaid background stamp with all the colors, and showed how you did it in your video. Great! Thanks for 3 great cards. I like your multi colored plaid backgrounds and the bouquet is inspired. Great job showing off the new products. The new colors are amazing and you showcased them perfectly in the bouquet of the first card and the plaids. Love, Love, Love them. Amazing cards! I'm loving all those colors!!! Your plaid cards are so creative. Thanks for the video instruction. Really cool. Thank you for the video. You make it look so easy. Love the effect you created. That rainbow plaid is amazing! Wow! the plaid background looks awesome how you used it! Fabulous use of the plaid background! The second card with the doily on the plaid warms my heart with its simplicity. This new release is so amazing! I love the first card with the half doily and the various coloured leaves. The plaid background I’m warming up to, I didn’t honk I would use it but the cards you made are gorgeous! I’m going to have to buy the whole collection! I love the floral cluster and the orange highlight! Your cards are so pretty - I love the way you did the plaid background. Beautiful, colorful cards. Thank you for the video. Amazing cards! I love the color combinations!